The Kimpton Cardinal Hotel will open in early 2016 in the majestic R.J. Reynolds building, a beloved Winston-Salem landmark and famed Art Deco prototype of the Empire State building. 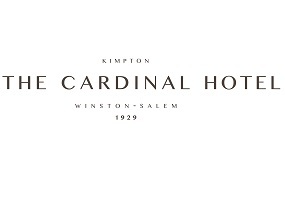 Named for North Carolina’s official state bird, The Cardinal will be Winston-Salem’s first upscale boutique hotel, welcoming guests to revel in Kimpton’s version of warm and wily, sophisticated Southern charms. Restored beyond its original splendor, the hotel is an architectural showcase of gold leaf, rich marble and burnished brass. Soaring along the city’s skyline at the heart of a vibrant and historic downtown, The Cardinal will serve as Kimpton’s first foray into the Carolinas, featuring 174 guest rooms, including 36 suites, an expansive fitness center, a distinctive neighborhood restaurant and bar, and more than 6,300 square feet of space to meet, greet and celebrate the spirit of the South.